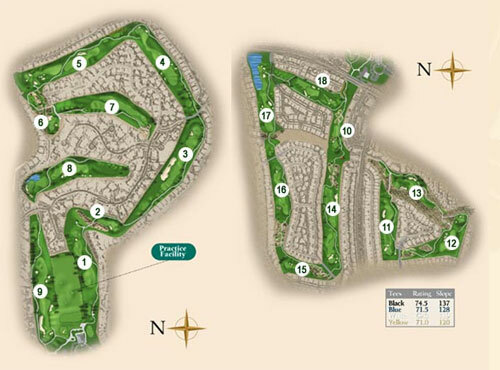 Designed by acclaimed golf course architect Arthur Hills, The Legacy Golf Club is an 18-hole, desert jewel highlighted by manicured playing conditions, multi-tiered fairways and large undulating greens. Each tee box is in the shape of playing cards suits: Hearts, Diamonds, Clubs and Spades. Also notorious at this premier facility, is the "Devil's Triangle." Holes 11, 12, and 13 make for a devilish trio of exciting challenges. The Legacy has become synonymous in Las Vegas for providing country club-style services and amenities. 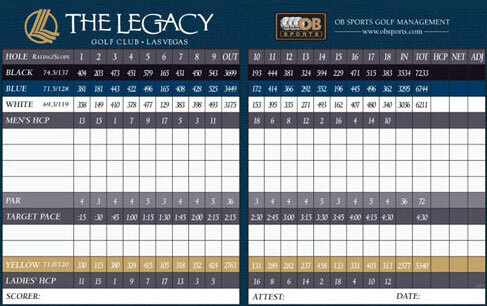 In fact, The Legacy Golf Club was selected as one of the "Top 10 Courses You Can Play" in Nevada, by Golf Digest. ADDRESS 130 Par Excellence Dr.